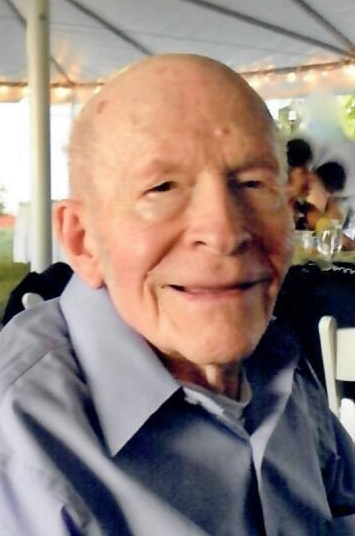 Roger Stanley Wilson Sr., age 97, of Celina, passed away Sunday evening, December 16, 2018, at Celina Manor. He was born November 22, 1921, in Hopewell Township, to the late Lee & Ethel ( Carroll ) Wilson. Roger is survived by four children: Deborah ( James ) Sullenberger of Fort Myers, Florida, Stan ( Lora ) Wilson of Kettering, and Katherine ( Mark ) Zizelman and Rodney ( Sara ) Wilson of Celina. Also surviving are six grandchildren: Ben (Juliet) Sullenberger, Julie (Justin) Meyer, Nick Wilson, Corey (Garratt) Zizelman, Kyle (Julie) Zizelman and Payton Wilson, four step grandchildren: Brett (Heather) Sullenberger, Josh (Sondra) Moon, Brittany (Maleah) Latting and Karissa Fredrick, three great-grandchildren: Eliza, Abigail and Adeline, and six step great-grandchildren: London, Kayden, Macie, Sean, Emma and Libby. Roger was preceded in death by four Brothers: George ( Iris ), Weston, Gene and Ned Wilson. A 1940 graduate of Celina Senior High School, Roger worked for 38 years at Mersman Brothers, and was a member of the UIU ( Upholsterers International Union ). Roger enjoyed watching Cincinnati Reds Baseball. He also enjoyed building construction, and had built 40 garages in the area. Roger liked to help his children with their homes and projects. Friends and Family may call at the funeral home on Saturday, January 5, 2019, from 1:00-3:00 P.M. A time of sharing memories will be held at 3:00 P.M., followed by burial at North Grove Cemetery.